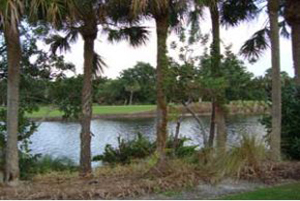 Sanibel Island Real Estate, Captiva Island Real Estate - Another Great Homesite Listing! Everything You Need In A Homesite! My new listing is a homesite located at 2512 Wulfert Road in the Sanctuary at Wulfert. The Sanctuary is located off Sanibel-Captiva Road near the northern end of the Ding Darling Wildlife Refuge. This area is close to one of my favorite beaches, Blind Pass. It seems like every time I walk this beach I see people finding the best shells, fishing, and just relaxing under an umbrella. This homesite measures 112 by 155 by 112 by 154 feet. This very large duplex lot has approximately 7,000 sq. ft. of impermeable coverage. The asking price is $259,500. 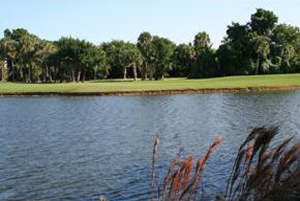 The property has terrific views overlooking the water to the 17th fairway and adjoining Sanctuary property. Privacy and serene comfort would not be understating what this site has to offer. More information and a location map can be found here. Equity and social membership to the Sanctuary Golf Club are available for purchase, but not required. You can check out my website Sanctuary condo page as well as watch a video of the Sanctuary area for some photos of what the Sanctuary has to offer. If you are looking for a great location to build your home, this might be just the location for you! 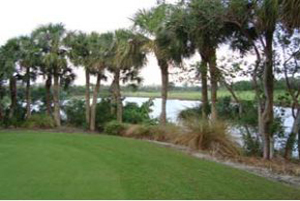 I also have another lot listed near this location with waterfront access to Pine Island Sound and the Gulf of Mexico. Check it out here. As a long time resident of Sanibel Island who has also had a home built on the island, I can help you with all the necessities of getting your home ideas off the ground! Building your own home can he a fun challenge and a rewarding experience... so call me today to get started! Our summer is ending and we are gearing up for the return of our "snowbirds" as they come back for another fun winter season. Property values have been heading up and we are definitely on the rebound from the property value lows of a couple years ago. 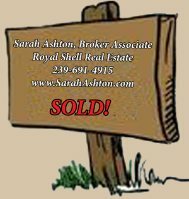 I have access to ALL the island listings and I'm positive I can find just the right property for you! Give me a call at 239-691-4915, or use my Property Search feature on my website to start yoru own property search. You can search by map, price, location, size or just about any other criteria you want! I'm looking forward to hearing from you, so... Call Me Today!